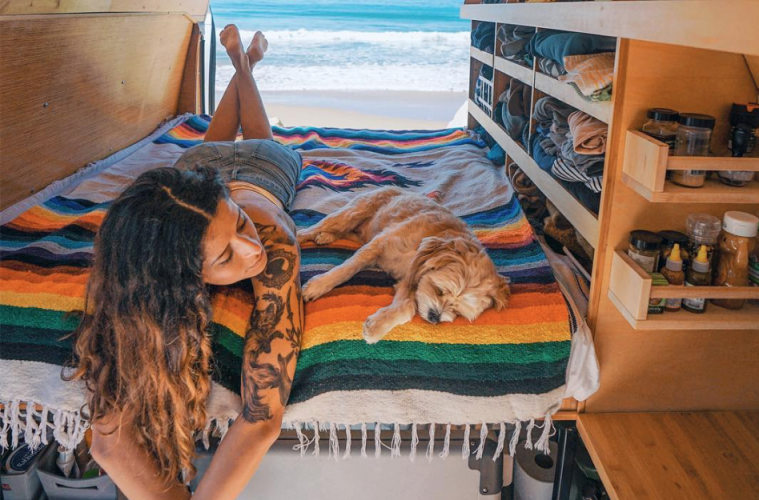 Living in a van might have been frowned upon when Alan Bennet released his famous paint-brush-wielding, newspaper-hoarding character on the world, but thanks to the many Van Life Instagram accounts and Vanlife Blogs on the internet, vandwellers all over the globe are shedding this unfortunate stereotype and bringing the joys of alternative living to the masses. 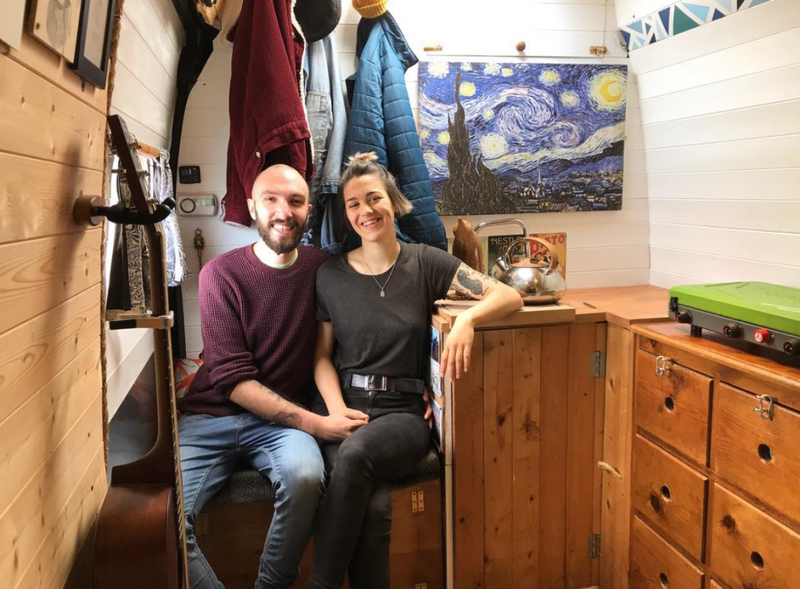 Rather than choosing to go down the traditional route of ‘get a job, buy a house, buy a car’, tiny house enthusiasts of all ages are putting their van life ideas to the test and making their own rules when it comes to deciding how they should live their lives. 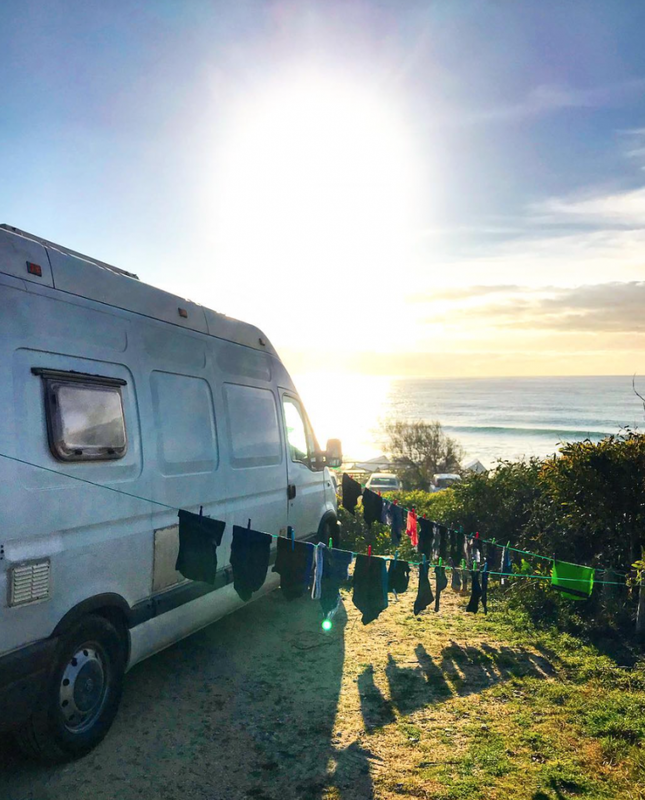 One question seems to put a lot of people off finally committing to this new and exciting lifestyle, however, and it all boils down to van life costs and how much money you’ll need to be comfortable while living off grid in your campervan conversions. 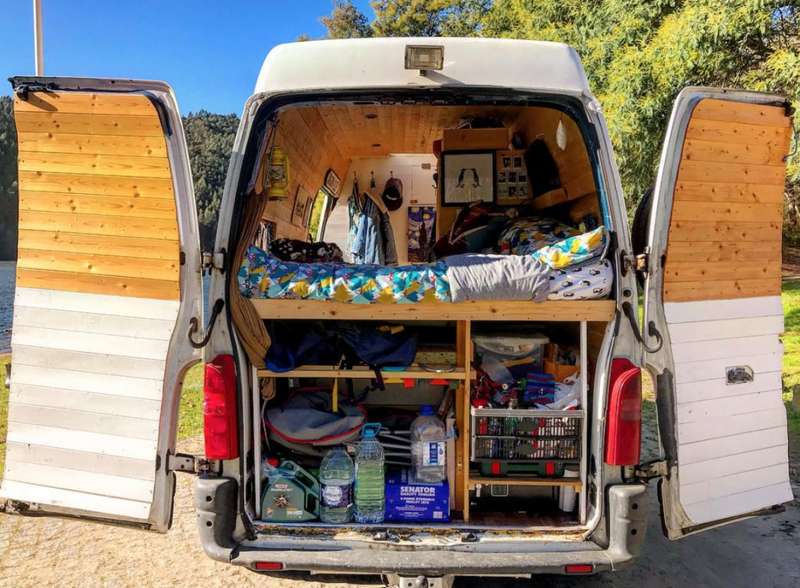 Whether you’re planning on living the van life in a single place or travelling in a van on an off grid adventure, you need to have some idea of what van life costs you’re going to rack up along the way. 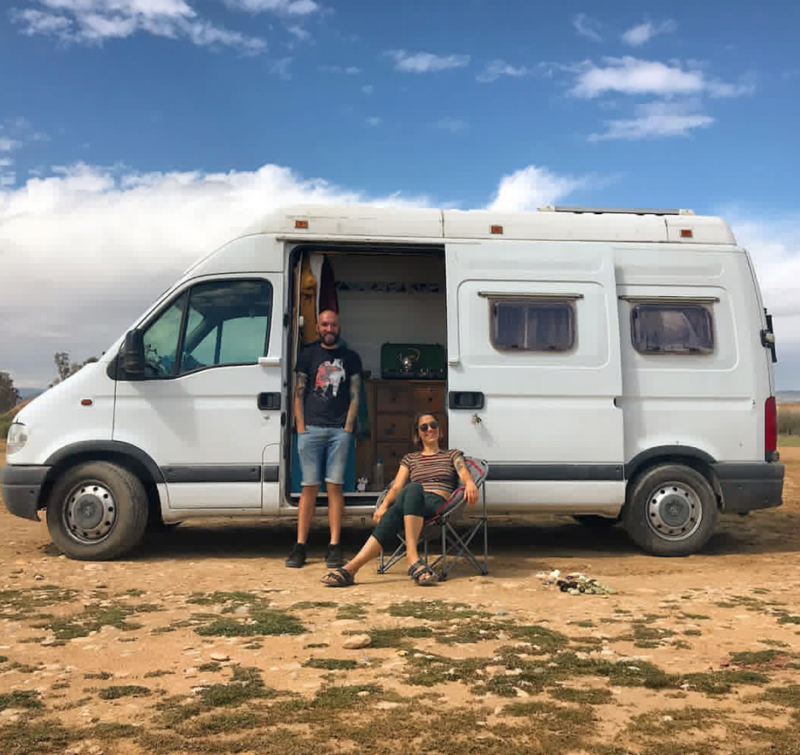 I’m here to tell you that living off the grid doesn’t have to be expensive, and I’ll prove it by giving you a low down of how much Rose and I spend per month while travelling full time in our hand built campervan conversion. Are you a budding weekend warrior or a full time van life aficionado? Head over to our new Facebook Group and join our ever-growing community! 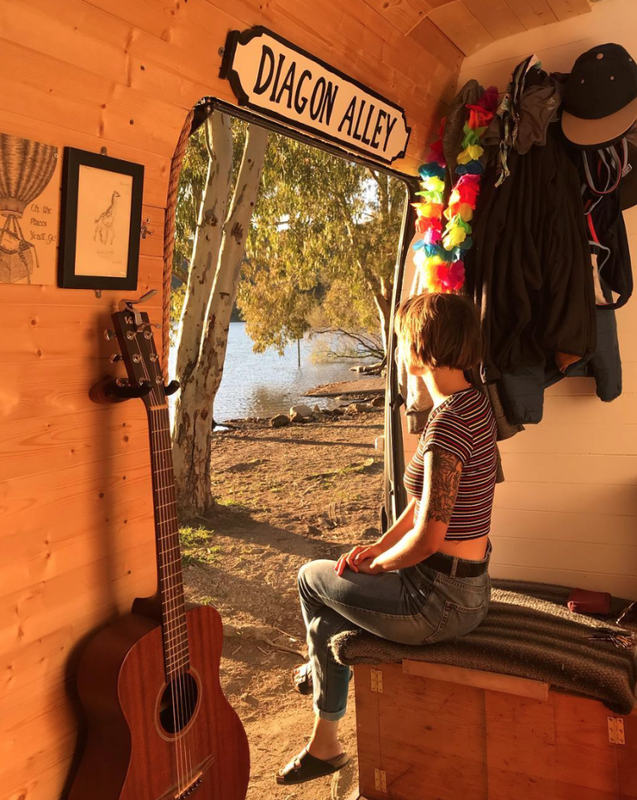 Before we dive straight into our monthly van life costs, I want to give you a little bit of back story into our current situation. Some of you might have read my articles before (in which case skip ahead and pretend this section doesn’t exist), but I think it’s important to explain how we came to be living this lifestyle for anyone new to the van life movement. Rose and I both worked full time at a music venue in Yorkshire when we decided that we wanted to take our lives down a different path. We bought a van and decided to build a campervan to live in full time while working, saving up money for a trip to all of the best van life travel destinations that we had spent our days drooling over. When we started converting our tiny home we never planned to fall under the category of ‘digital nomad’ and be earning while on the road, but our new work has allowed us to take our dream to an entirely different level, and it’s also helped us to knuckle down on our monthly van life costs. I’m going to list our main van life costs for you below, and I’ll also let you know roughly how much we spend in each area and how to keep your costs down. Bear in mind that these costs fluctuate depending on how much we travel each month; sometimes we find a spot that we’ll spend a week at, and other times we’ll try and cover lots of ground and stay in places just for a night at a time. Travelling slower means that your adventure will last longer, but it might not work if you’ve got a strict timescale. I love to eat. I know it’s one of the main things that we need to stay alive, but for me, it’s much more than that. 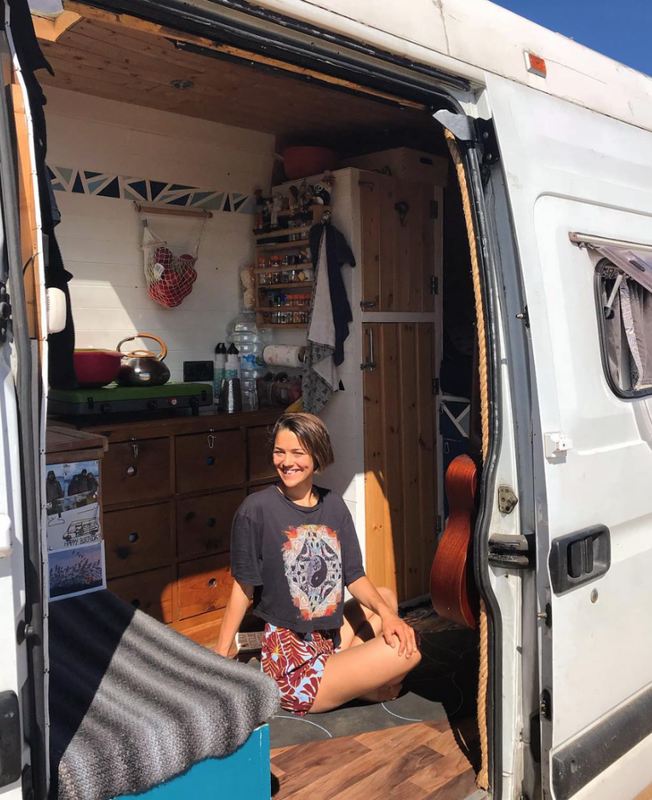 Rose and I love van life cooking and whipping up our favourite van life recipes, and even though we try to budget how much we spend on food, we never go hungry. Luckily there is a very reliable discount supermarket (it begins with an L and sounds a bit like ‘middle’) in almost every town in Spain and Portugal, and all of the produce is super cheap, fresh and good quality. We used to keep van life costs down by making a food plan (one of the U.K Van Life Hardest Bits to consider when you’re already hungry! ), but now we try and stick to spending around £40 which usually lasts us about ten days. That might not sound a lot, but all of our cupboards are stocked with dried goods, tomato passata, beans, pulses, biscuits, chocolate, rice, fruit, crisps etc., and our fridge is jam-packed full with fresh veg that we’ll put into curries, stir-fries, risottos etc. Eating out might be fun, but it drains your bank account incredibly fast. A trip out for Sushi would probably set you back about €50 with drinks, whereas we recently made some for around €7 and ended up almost having too much! 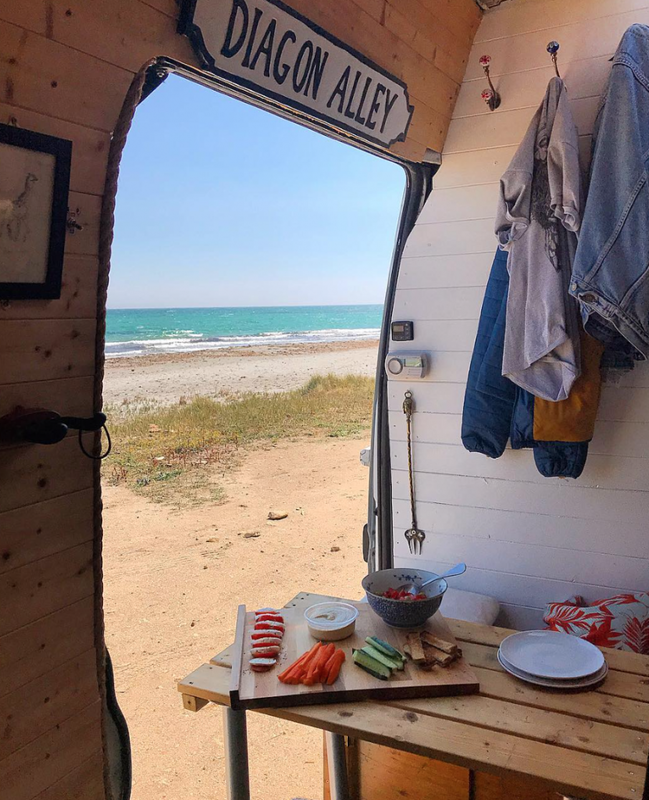 You can keep van life costs down by making all of your favourite meals (including homemade van life pizzas using the Ridgemonkey XL) for much cheaper, and who wants to sit in a cramped restaurant when you can relax and eat under the stars. As a couple, we don’t eat meat in the van. Rose is a Pescatarian and only eats fish, and meat always works out as being much more expensive and takes up a lot of room in the fridge. I might have a bit of chicken every now and again, but eating fresh is much better for the budget. Food van life costs – £150 per month (on average). If you live in a tiny eco house on wheels and want to go travelling, then a large chunk of your money is going to have to go on fuel. 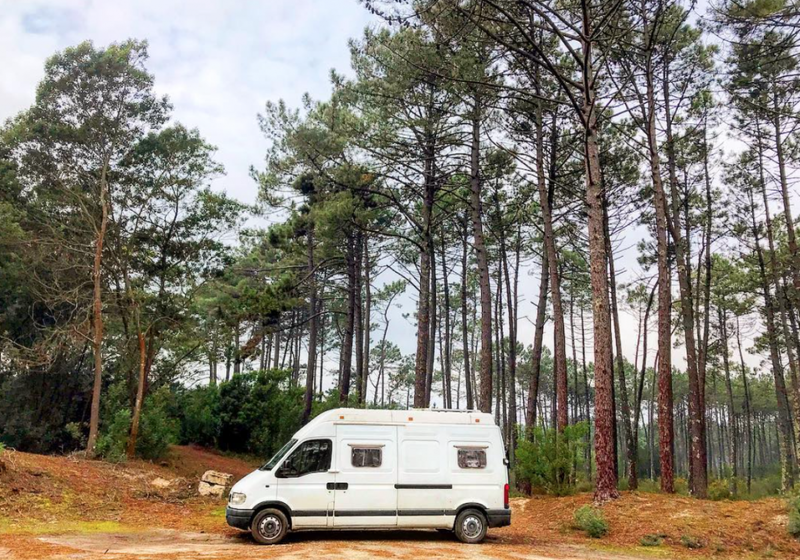 We stayed in the same city for thirteen-months when we first moved into our van and hardly spent anything on diesel, but now we’re travelling we’ve noticed a difference. Fuel prices will fluctuate depending on what part of the world you’re travelling through, and luckily for us, diesel is incredibly cheap here in mainland Europe (it’s cheaper than petrol which is unheard of in the U.K!). It’s one of the van life costs that can’t be avoided, but if you do your research and budget wisely, then it won’t end up draining your bank account dry. I mentioned above that we keep our diesel van life costs down by staying in nice places for longer, but we also use our TomTom Go Camper to pick out toll-free routes. It’s great at picking roads that will get us to our destination without having to waste valuable fuel driving around windy mountain roads (unless we’re going to a mountain park up, then it’s totally worth it!). It’s surprising how tolls can eat away at your savings; €8 here and €5 there might not seem a lot at the time, but it soon adds up. Be savvy and plan ahead. 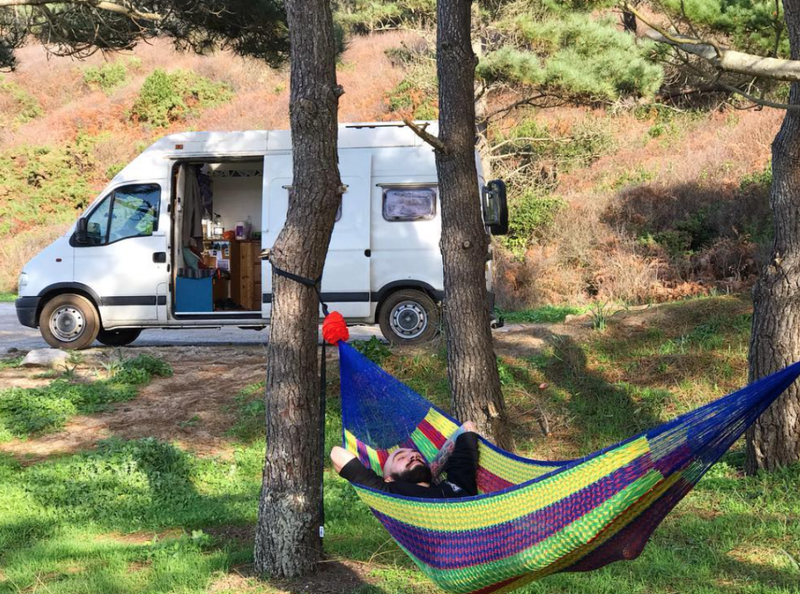 Other than fuel, the only other van life costs related to bills that we have to pay are our Spotify and Netflix accounts, but even they aren’t essentials. We’re both outdoorsy people and like to mix off grid living with long walks, adventurous hikes, and the odd bit of extreme bodyboarding when the water is warm enough. Choosing the best van to live in when decking out your camper will define what bills you have to pay further down the line. If you pick a van that has enough room for a couple of solar panels and a split charge relay, then you won’t have to pay electricity ever again. There’s no rent to pay when living in a van, and if you like to wild camp as we do, then you won’t have to pay money for campsites either. Buying the right gear before you set off will save you money in the long run, even if the costs are higher at the beginning. We have two 100W solar panels on our roof (which coincidentally cost us £100 each) and a split charge relay, and we charge up computers, hand-held games consoles, tablets, torches etc. all day long, all while running a 12V fridge that hasn’t run out of power in over 17 months. We’re both under thirty-years-old and have VOXI mobile phone plans. We each pay £20 for barrelfuls of data, minutes and calls, and use our data to upload articles, send files, stream and FaceTime family while at home. Social media data usage comes free with VOXI, which is great for us as we do a lot of Instagram both for Van Clan and on our own @vincentvanlife account. Bills and entertainment related van life costs – £53. Top tip – Get Spotify Family with other members of your family and share the cost. Contrary to popular belief, vanlifers aren’t unwashed, smelly people. We use a Scrubba Wash Bag to keep our van life costs down, and it’s big enough to wash our underwear, vanlife socks, shorts etc. We travel with all of our clothes, so we don’t exactly have to worry about finding a washing machine every week. We usually visit the washing machines in supermarket carparks every four to 5 weeks to wash t-shirts and bulkier items, and it costs around £15 per visit. Getting water is much easier than you might think too. There are fill up spots everywhere that you can access for free (except in the U.K which doesn’t seem to be geared up for it), and draining your grey and black water costs nothing either. As far as showering goes, we have a solar shower that we store our water in. It heats up in the sun on hot days, but sometimes we’ll just use the kettle to warm up the water if we can’t be bothered to wait. Keeping clean van life costs – Around £15, depending on how many clothes you wear per month. If you want warm water thn you can always take a dip in a hot spring too! Van Life Insurance, Breakdown Cover, Gadget Insurance etc. It’s something that you might not want to think about now, but you’ll be glad that you did if anything happens. Van Life Insurance is crucial, especially if it’s your first time driving in a different country and just for your own peace of mind while travelling. Companies like SafetyWing provide custom van life policies for digital nomads on the go, giving you access to superb medical care and an easy-to-use claims process if anything goes wrong. Insurance for your van is also essential in case you get into an accident. We paid our policy upfront so it’s not a monthly cost, and everyone’s price will differ depending on how long you have been driving for and how old you are etc. Shop around for the best quote; companies always like to try and give you the best deal. We’ve spoken to loads of people so far that have had to utilise breakdown cover while out on the road and, while we haven’t had to make the roadside assistance call yet (touch wood and grab a lucky rabbits foot while praying that we never have to), we know that we’re covered if anything goes wrong on the road. It cost just a little over £320 over 12 months, but that’s if you’re going to be travelling around. If you’re stationary in one city, then you can expect to pay around £8 a month. We use a company called Trōv for our gadget insurance; they provide 365-day cover while abroad and have an easy to use mobile app where you can turn insurance on and off when required. We use a lot of gadgets for our work (apart from writing for Van Clan, I write fantasy novels, and Rose is a digital artist), so it’s vital that we know our gear is safe when we leave the van or when we’re working on location. This cost will vary with how many gadgets/the type of devices that you insure, and we spend £25 a month keeping ours safe. Tedious but essential van life costs – Around £35 a month with vehicle tax. Other one-off costs were paid before leaving, but we’ll live you to dig out quotes for yourself. This last point is optional and not one of our van life essentials, but if you’re travelling the world and going to new places, then every now and again you might want to nip into a city to see the sights and soak up the culture. Now there are plenty of free things to do in cities, and we’ve found more often than not that the best parts (which are usually outdoors) cost nothing. Once you’ve looked at one stately home then you’ve kind of seen them all, but the gardens or castle grounds are always fascinating, and looking up at the fancy buildings is usually a lot more impressive than looking out of them. We keep our van life costs down by researching what there is around us and what we can do or see for free. We recently travelled to Lisbon and parked on the outskirts, choosing to get a train into the city for the duration of our stay. It was much cheaper than parking in the city itself, and it meant that we could use our train pass to travel around while we were there. Tourist Travel costs – £8 every couple of months or so. We prefer parking up at beaches, wandering through mountains or driving alongside rivers, but every now and again you’ve got to go and check out a cathedral or an art market; it would be rude not to. Totting up the figures above gives us a total of just under £400 (around $522 or €464), which covers everything that we need to live while travelling. Considering that we used to pay over £1’000 just to live in a terraced house and taking council tax and utility bills into account, this small amount of money is incredibly manageable. 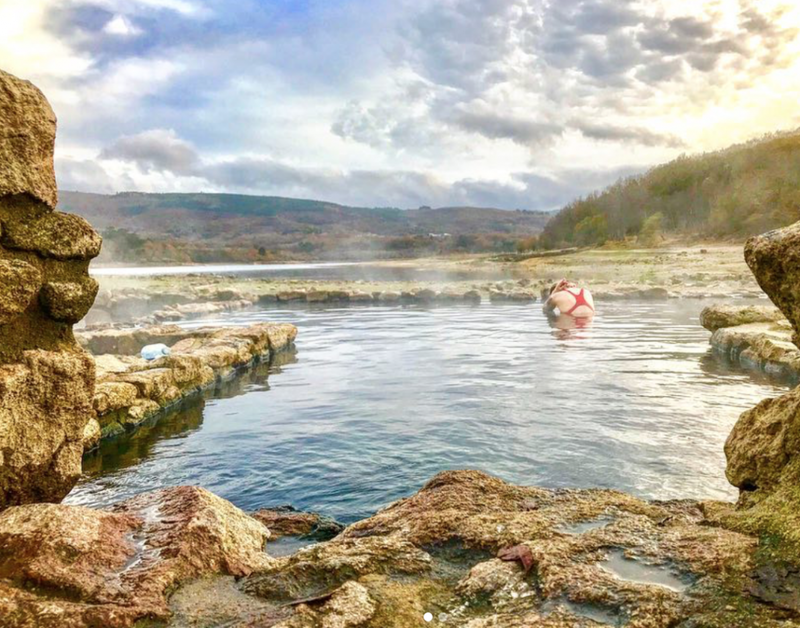 It provides us with a lifestyle that not only gives us the freedom to do things our way, but it’s a much more relaxing way of life that and better for both our mental and physical health. Anyone can live the van life; it doesn’t matter whether you have any D.I.Y experience or if you’re a first-time converter looking for a cheap camper to renovate, if we can do it then you can too. 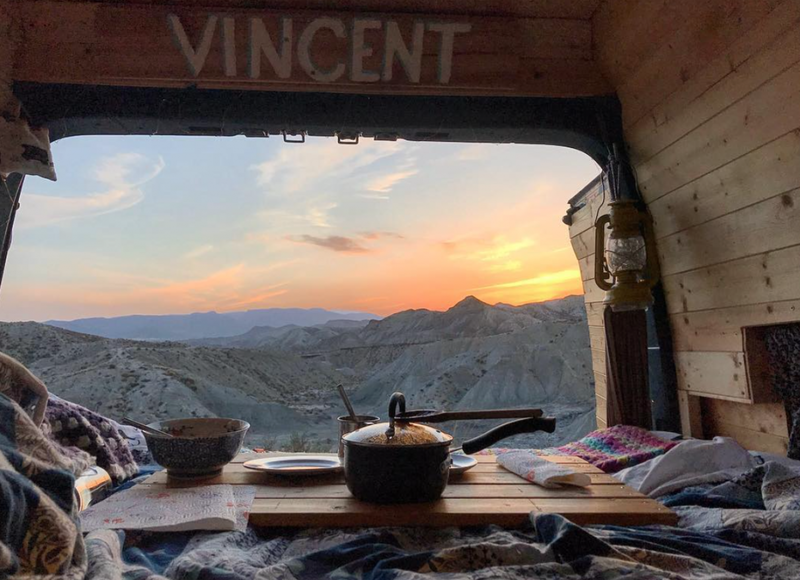 I hope that this list of van life costs has helped to quell the mystery that full-time van life has to cost a lot of money and that it has given you some ideas and inspiration into how you can set off on your own adventures. 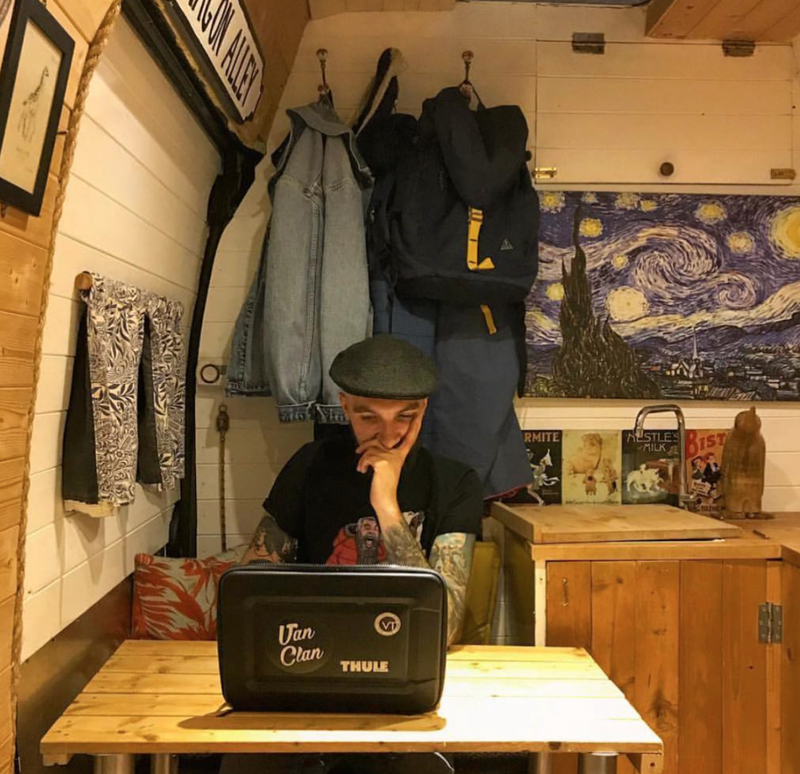 Join us on Facebook, Twitter and Instagram for more van life content, and let us know if you have any van life plans in 2019! Rent an RV the easy way and get a taste of van life! This rolling Harry Potter House turns every muggle into a wizard or witch! Keep your camper happy with one of these incredible Campervan Gifts!